24:30 Question of the Week: Have you done any focus groups? Any disaster stories? Long time listener, first time commenter (I think). I love the show. Keep it up! As for the question of the week, I haven't had any outstanding experiences with focus groups, except for the opportunity for clients as a group to take direct shots at senior management. While it was uncomfortable while it lasted, it ended very well. The clients were able to validate their top issues with consensus with other clients, and we re-prioritized to answer the issues – and gained a significant group that remain loyal to us. 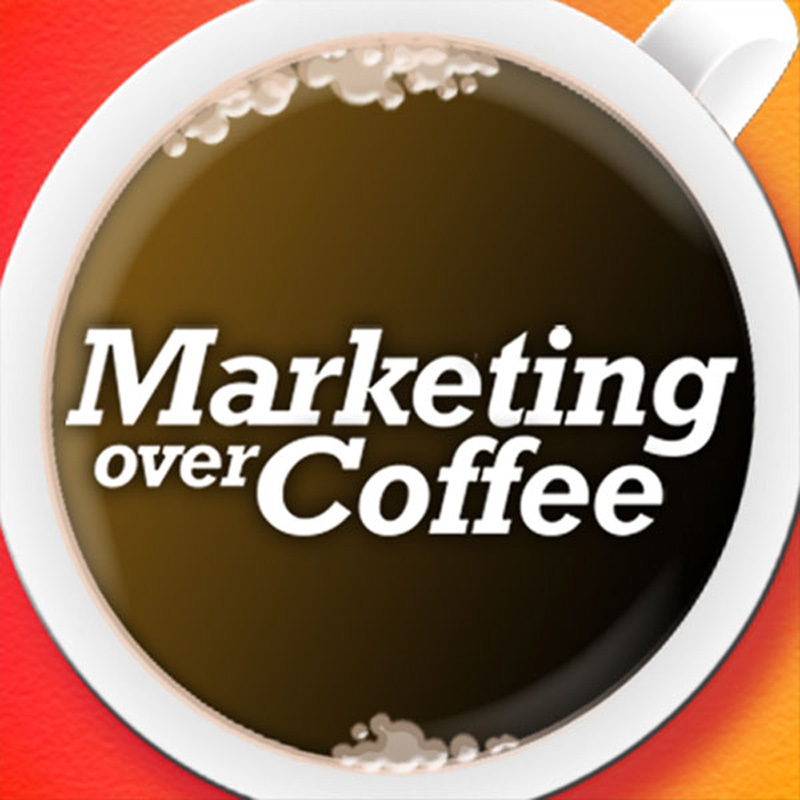 So wait… I could get the Marketing Over Coffee Music Marketing Award? Can I nominate myself, or would that qualify me for the lame self-promotion award? As for the question of the week, I haven’t had any outstanding experiences with focus groups, except for the opportunity for clients as a group to take direct shots at senior management. While it was uncomfortable while it lasted, it ended very well. The clients were able to validate their top issues with consensus with other clients, and we re-prioritized to answer the issues – and gained a significant group that remain loyal to us. I'd like to nominate my client, Framingham Co-operative Bank, for how they (with our help) have integrated a Facebook Page into their overall communications strategy. The Page was launched a couple of months ago and has continued to grow. Today the Bank, which has two locations in one town, has 375 Fans, and updates the Page on a regular basis with community news, charitable donations, product updates, etc. You can check out the Page for this community bank by visiting ( http://www.facebook.com/FraminghamBank ). I’d like to nominate my client, Framingham Co-operative Bank, for how they (with our help) have integrated a Facebook Page into their overall communications strategy. The Page was launched a couple of months ago and has continued to grow. Today the Bank, which has two locations in one town, has 375 Fans, and updates the Page on a regular basis with community news, charitable donations, product updates, etc. You can check out the Page for this community bank by visiting ( http://www.facebook.com/FraminghamBank ). Hey guys… I am a new listener to the podcast and I am loving it thus far… very insightful and thought provoking. I just started reading Six Pixels of Separation as well. Chris, I could not agree with you more. The book is great because it focuses on the conceptual and not just a blueprint of “how to create a campaign”. If I wanted a how to guide… I'd get something else. Plus it is well-written. Keep up the great work gentlemen! Looking forward to more great episodes. I just started reading Six Pixels of Separation as well. Chris, I could not agree with you more. The book is great because it focuses on the conceptual and not just a blueprint of “how to create a campaign”. If I wanted a how to guide… I’d get something else. Plus it is well-written. Hi guys. Love your podcast. Have been listening regularly now for months. Thought the focus group segment was great. I've done lots of focus groups, as a client, as a consultant and even as a moderator. But the real point is, whether it's focus groups, in-depth interviews or simple web-based surveys, far too few organizations take advantage of the valuable feedback customers will provide. I do want to express a bit of concern about a comment that came up in the show, i.e., the notion of using a focus group as a regular part of the sales process. Serious breech of ethics guys! Tempting though it might be, the participants have agreed to provide opinions for 'research' purposes. Those opinions should NOT be turned into negotiating tactics to be used against them. Kind of like the baseball steroids testing that was done a few years ago as an 'anonymous survey' but subsequently released for some of the star players who participated. Ouch! Business is about trust and keeping commitments. Let's not break down that trust and turn off consumers willingness to help us understand them better. Other than that, keep up the good work. I appreciate the quality of the show. Happy to talk to you more about research if you're interested. Thought the focus group segment was great. I’ve done lots of focus groups, as a client, as a consultant and even as a moderator. But the real point is, whether it’s focus groups, in-depth interviews or simple web-based surveys, far too few organizations take advantage of the valuable feedback customers will provide. Tempting though it might be, the participants have agreed to provide opinions for ‘research’ purposes. Those opinions should NOT be turned into negotiating tactics to be used against them. Kind of like the baseball steroids testing that was done a few years ago as an ‘anonymous survey’ but subsequently released for some of the star players who participated. Ouch! Business is about trust and keeping commitments. Let’s not break down that trust and turn off consumers willingness to help us understand them better. Other than that, keep up the good work. I appreciate the quality of the show. Happy to talk to you more about research if you’re interested.